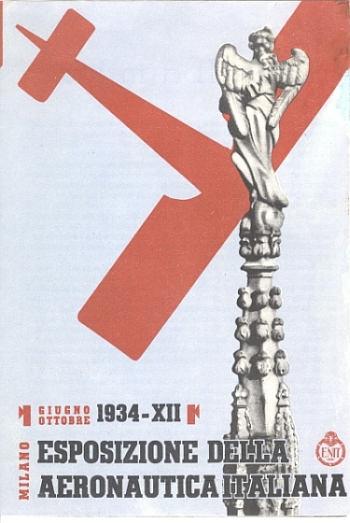 The ENIT (Ente Nazionale Italiano per il Turismo or Italian State Tourist Department), buy viagra sales as I’ve blogged before, sovaldi sale was a major publisher of posters, brochures, booklets, magazines, advertisements, and postcards promoting travel to Italy. I have hundreds that I have collected over the years and these are two of my favorites. What I like about these is the aviation-related theme which ties together two of my design interests (aviation brochures and Italian brochures). As I’ve noted before, aviation was barely 20 years old and represented modernity in all its forms. The contemporary graphic designers of the 1930s often included airplanes in their designs and material published for airlines employed some of the most modern designs generated during the period. 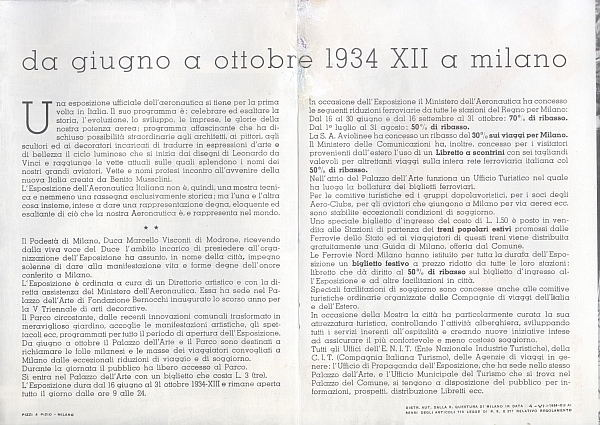 The first brochure is for the “Milano – Esposizione della Aeronautica Italiana, Giugno Ottobre 1934 – XII” (Italian Aeronautical Exhibition in Milan, July – October 1934, the XII year of Mussolini’s rule), issued by the ENIT. The brochure is unsigned. 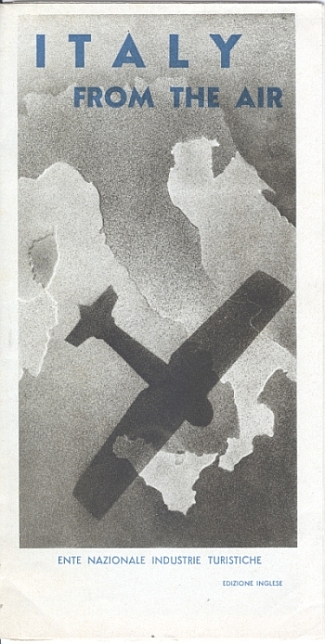 The second brochure is titled “Italy From the Air,” 1933-XI, published by the ENIT. The inside opens up into large set of photos of cities across Italy.